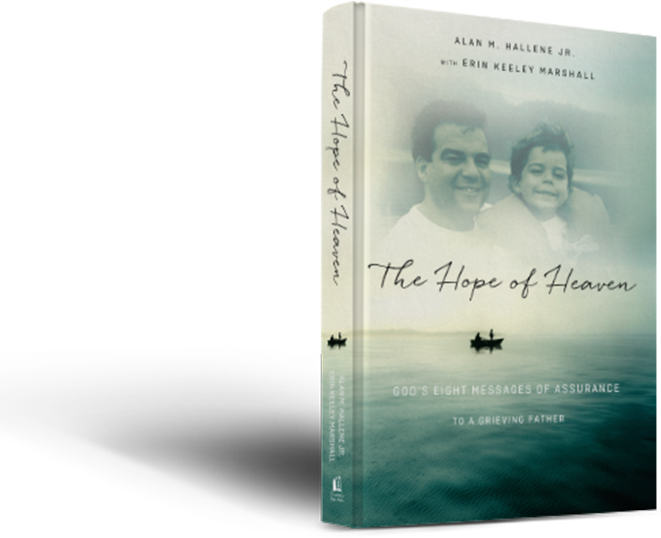 Al Hallene experienced one of those moments no father should ever have to experience: Finding his son Alex’s body after he had taken his own life. While Al waited for the authorities to arrive, he had ten minutes alone with his son. 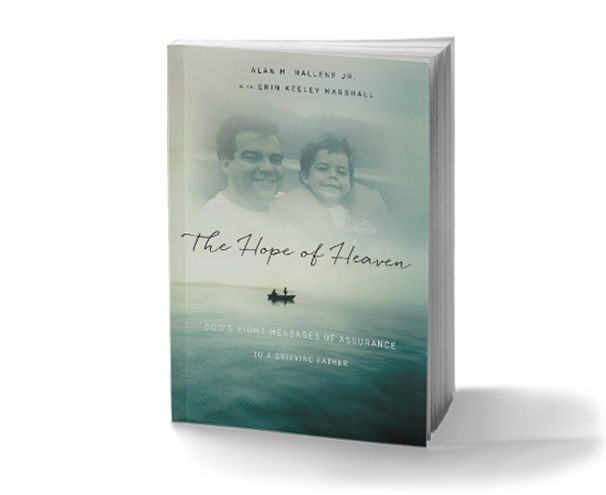 During that wrenching time, God gave Al eight visions of heaven, where the father and son would someday reunite. As Al recounts those heartening and healing moments, readers are reminded of the affirming hope that Christians share even while asking the real questions tragedy raises: Will we see our lost loved ones again? Does God care about our pain? What does this mean for us now? We were not created to live within the limited realm of time. God made us for forever. Alan M. Hallene Jr., PhD. 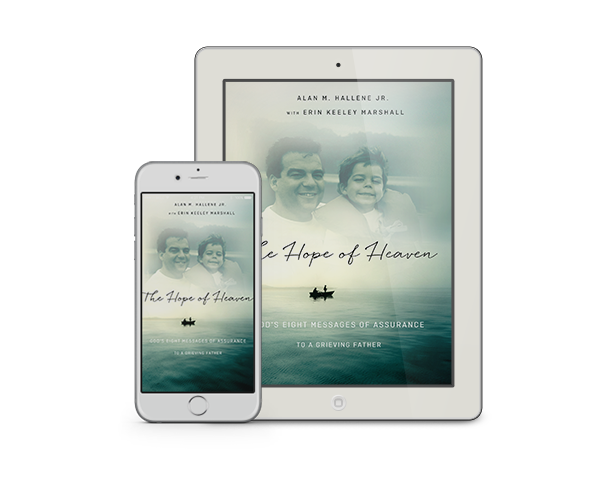 is the father of three grown sons, one whom he anticipates reuniting with someday in heaven.  While working on The Hope of Heaven, Al was on leave from his teaching position at St. Ambrose University in Davenport, Iowa. 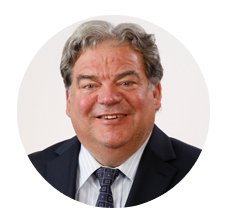 He has also taught at the University of Illinois and the University of Iowa, and is President of NorthHill Consulting, LLC. Is the author of Navigating Route 20-Something (Harvest House 2008) and The Daily God Book (Tyndale House 2009). 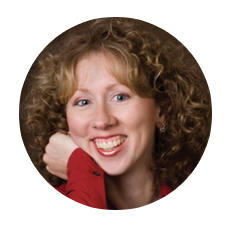 She spent the early years of her career as an editor at Tyndale House Publishers and has edited and written for several Christian publishing companies throughout the United States. She lives in Arkansas with her husband, Steve, and their two children. Sometimes heartache refuses to relent. But God is bigger and He is present. His presence is food that nourishes and heals me every day.